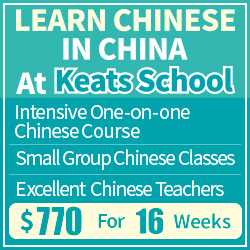 Relying on your native language when learning Chinese is natural and one of the main differences between adult and child language learning. As adults, we already have one or several languages in place when we start learning Chinese and we also have complex knowledge of the world around us. This leads to huge amounts of mostly unnoticed positive transfer.. You don’t need to learn what a cat is, you just need to know what it’s called in Chinese. Thus, using your native language to learn Chinese is an advantage and the main reason that avoiding it completely is a bad idea. However, this doesn’t mean that Chinese lessons should be held in English or that relying extensively on English to learn Chinese is good. Quite the opposite is true. You learn a language by using it, so from the very start, you (and your teacher) should make a serious effort to use as much Chinese as possible. Not 100%, that would be impractical, but the closer you can get, the better. …can you please say that again? …can you please speak more slowly? Note that you don’t necessarily have to be able to say all these things yourself. Students seldom need to say “open the book on page 54”, but they definitely need to understand such sentences. Only learn to say the phrases you use yourself, at least to start with. These sentences are very, very important, on the same level as introducing yourself and asking basic information about other people and your surroundings. They should appear early in all textbooks and all teachers should introduce them long before the students are actually ready to understand the grammar and vocabulary used in them. Still, this is rarely the case. I have seen a few textbooks that have a separate prologue with such phrases and this is great, but most textbooks have nothing to offer in this area. Some teachers still do it on their own, but don’t count on it. In any case, the point is that the best way of learning Chinese is to use it, and the best way to use it is by saying things you would like to say anyway. 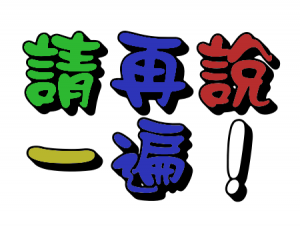 Common classroom expressions should be in Chinese! The reason you should learn these phrases are that you’re wasting free review time if you don’t. By knowing the meaning of these, you start being able to communicate in Chinese immediately. Because these phrases are so common when learning Chinese, you don’t really need to spend much effort learning them. Sure, it might take a number of repetitions before they sink in, this won’t be instantaneous, but the highly repetitive nature of the phrases means that you will learn them soon enough. If you keep saying them in English, you will never learn. The more advanced you become, the more Chinese you can use. 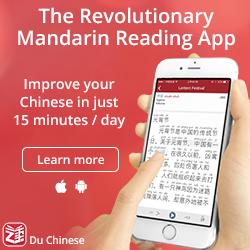 For instance, starting using Chinese-Chinese dictionaries is an important but fairly difficult step, something I have written more about in this article: The Chinese-Chinese dictionary survival guide. 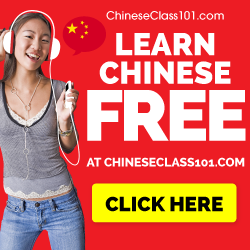 Other examples involve listening to Chinese-only podcasts targeted at language learners (such as ChinesePod), which is excellent practice. You often learn more from hearing the hosts talk about the dialogues than you do from the dialogues themselves. I think the point should be clear: Use Chinese to learn Chinese. It shouldn’t be 100%, don’t be afraid of translating things if that saves a lot of time, but never rely on English more than you have to and always learn common words and phrases in Chinese. I think this is true for any languague, it’s important to inmerse yourself in your target language so you can practice it from day 1. The more you use it the more you learn. 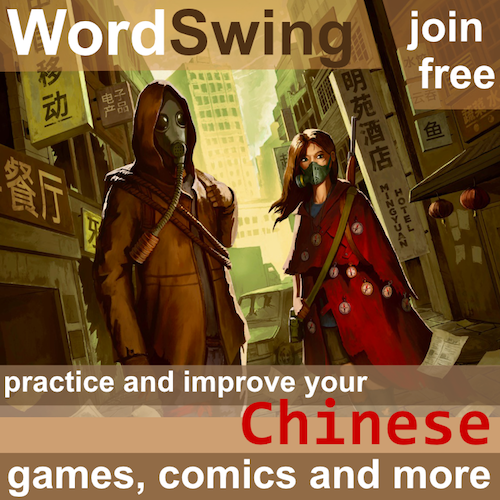 Question about grammar…have you ever experimented with sentence diagramming in Chinese? If so, do you recommended this approach for long, complicated Chinese sentences? Not much, really, but it can be helpful for long or weird sentences. Sometimes, straightening out the structure of the sentence is enough to understand it. If you encounter sentences where you understand all the words without understanding the meaning, then it makes sense to look more at the sentence structure. Yknow just last week I had the feeling that I was relying too heavily on english translations to understand a word. It’s kind of like my crutch. So I started to stop myself from doing this by readign the description of new vocabularies (in chinese) if it’s still unclear I look it up. But I think I’ll download a C-C dictionary so that I can look at sample sentences. Chinese-Chinese dictionaries are quite difficult to use, the definitions are often much harder than the words they describe. I think it’s a great idea to try in Chinese first and then use English if that doesn’t work. If you’re after example sentences in Chinese, though, any good C-E dictionary should have those as well. I strongly agree. I started using a Chinese-Chinese dictionary probably far earlier than I should have, but a good tutor, immersion, and enthusiasm canceled out most negatives. Related to your ‘The importance of knowing many words’ and your other ‘Chinese-Chinese dictionary survival guide’ articles, I found being able to enjoy extended trips looking up word after word after word to be almost more enjoyable than the book I was reading in the first place, and to be wildly helpful in increasing my vocabulary. There are also 同近反义词 thesauruses that are really easy to find in China that describe very succinctly any usage differences while still being pretty accessible. Pleco is also great for this, and there’s even an experimental Thesaurus database (free!) on Pleco that helps. I don’t always read comment sections, but Hacking Chinese guests and yourself (Olle) often further the discussion enough that it should be mandatory. Absolutely great content. THANK YOU!.